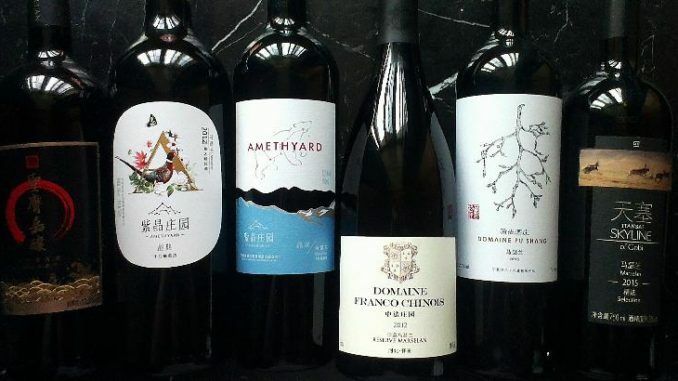 Pop-Up Beijing, Gung Ho!, Capital Spirits, The Schoolhouse at Mutianyu and Good Works Coffee & Tea are among the Beijing venues that will participate in the second annual World Baijiu Day that is officially slated for Monday, August 8, and will also support events on August 6 and August 7. 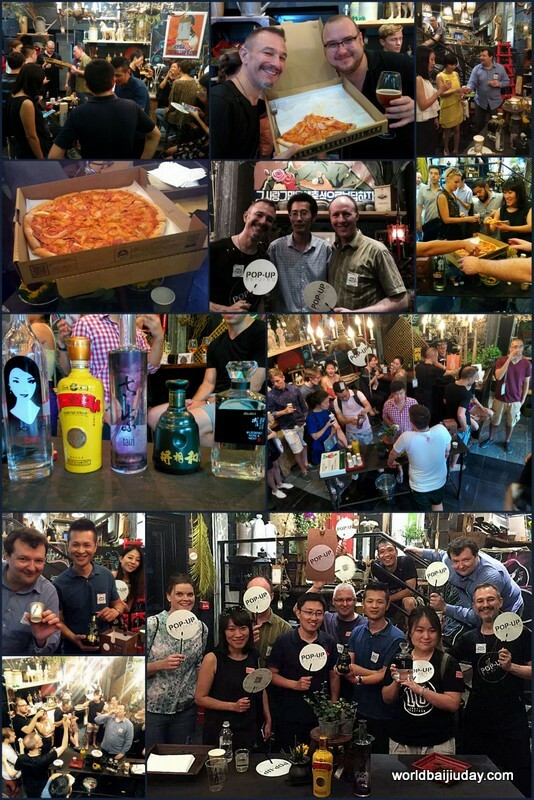 Over 30 venues in 20 cities joined the inaugural event and some have already confirmed for 2016, including Demon, Wise & Partners (London), DoubleTree by Hilton (Guangzhou), Golden Monkey (Melbourne), Moutai Showroom (Paris), Moutai Showroom (Sydney), Peking Tavern (Los Angeles), Shen (Shanghai) and Vinn Distillery (Portland). 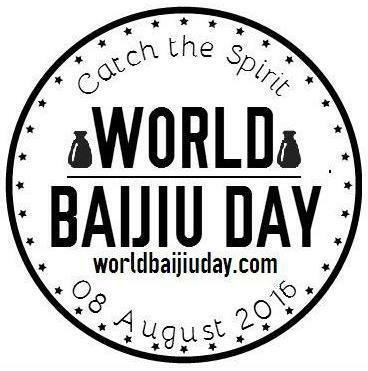 Event details and updates will be posted at worldbaijiuday.com. 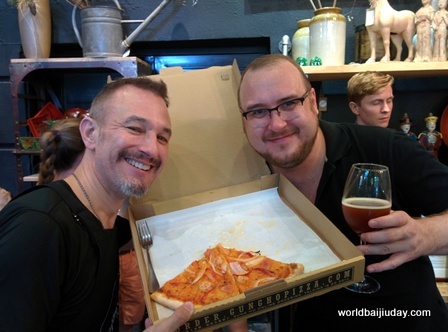 Glenn Schuitman of Pop-Up holds a Drunken Baijiu Shrimp pizza with Gung Ho’s Josh Lally. 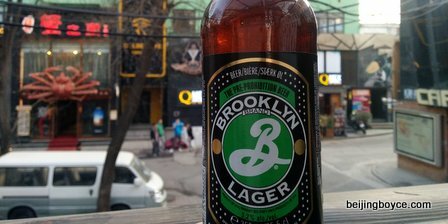 Meanwhile, Lally, inventor of that pizza, holds a Jing-A ‘Qu Brew’ beer made using the fermentation agent for baijiu. 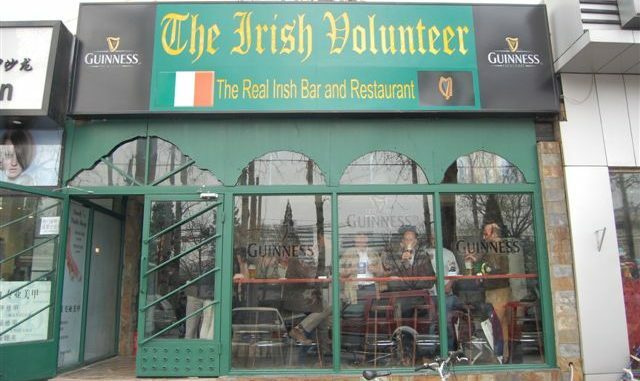 A half-dozen venues in Beijing took part in World Baijiu Day last year. 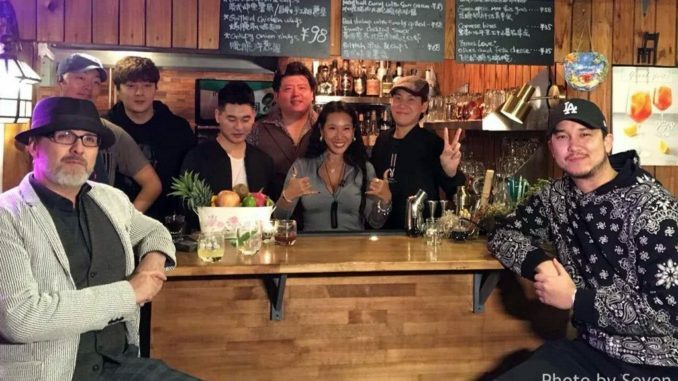 A party at Pop-Up Beijing drew over 50 attendees who sampled baijiu brands from China, New Zealand and the United States. 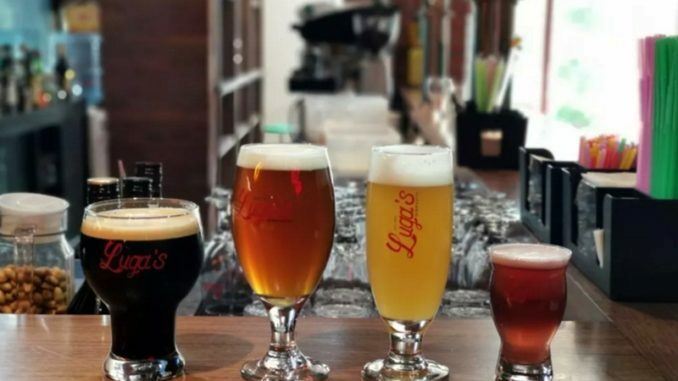 A short walk away, Jing-A Taproom served its ‘Qu Brew‘ beer, made using the fermentation agent for baijiu, as well as ‘Drunken Baijiu Shrimp‘ pizzas from Gung Ho!, where the seafood was sauteed and flambeed in China’s national spirit. 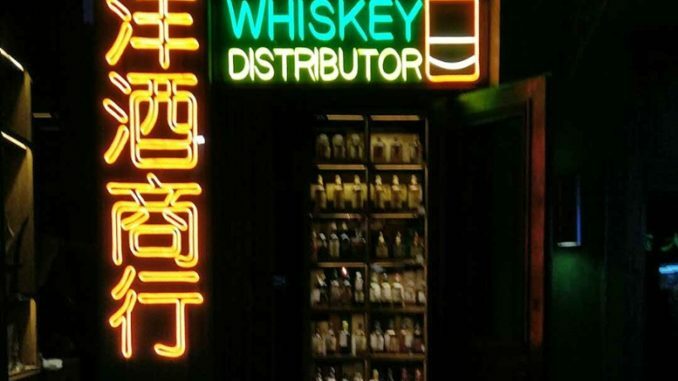 Also near the city center, hutong bar Capital Spirits paired baijiu with food, while a bit further afoot, at the Great Wall, The Schoolhouse at Mutianyu spotlighted its baijiu liqueurs. Last, but certainly not least, Windy City Ballroom made not only themed cocktails but also plate after plate of deep-fried baijiu–click here for more on this tasty treat. 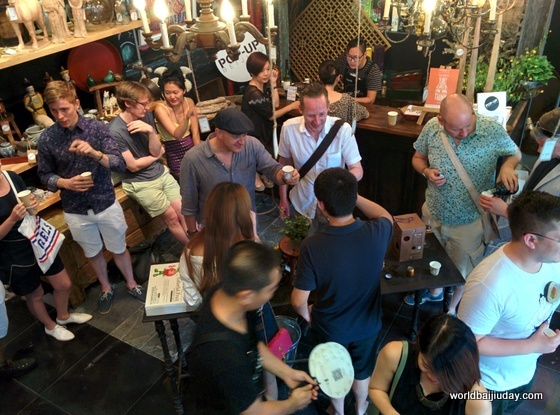 Given few people anywhere enjoy knocking back shot after shot of warm high-proof booze, the informal theme of World Baijiu Day is ‘beyond ganbei‘, with the focus on themed cocktails, infusions, liqueurs, beers, foods and more. Whether people end up loving or hating baijiu, the world’s most-consumed spirit, the goal is to at least have them try it in a few new ways.